The world of social media is constantly changing as each social platform attempts to retain their users. As new features emerge on each app, for those of us who use social media and advise others professionally it’s important to stay ahead of the game – that’s where webinars come in handy. Earlier in the year I joined the ‘Hootsuite Social Trends put into Practice’ webinar covering what we can expect from social media in 2017 and so far it’s ringing true. As suspected organic reach is expected to continue to decline as brands continue to sponsor posts. As a result, the number of boosted posts hitting our Facebook feeds will be set to increase as brands attempt to combat the decline in organic reach. Although this may not be a problem for big brands, for emerging businesses without the budget for boosted posts, Facebook may seem to be a slow burner. The role of each social network is also beginning to become more pronounced and it is not essential for a brand to use all platforms. It’s important to consider the goals of the brand and what they are hoping to achieve through the use of these channels. For example, if creating conversation is a goal at the top of the list, Facebook should be considered. The webinar also revealed some interesting statistics on how we are beginning to use social media as one in two active users on Snapchat and Instagram now use the platforms to research products. 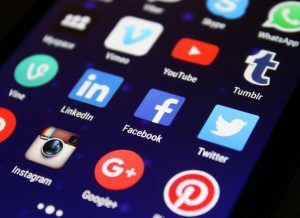 According to research by Aimia, 56% of users who follow brands on social media platforms do so in order to research the brand and their products. Social commerce is booming and it’s set to continue in 2017 so make sure you’re set with social channels that work for your business. Do you often wonder how social media can work for your business? We’re here to help.